Pakistan’s president arrived in India on Sunday, the first official visit one leader of the wary neighbors has paid to the other nation in seven years. No breakthroughs were announced, but both sides hailed the meeting as a sign of easing tensions along one of the world’s most dangerous borders. Spinmeisters on both sides worked overtime to lower public expectations of the “private” trip that saw Pakistani President Asif Ali Zardari and Indian Prime Minister Manmohan Singh discuss the 2008 terrorist attack on the Indian city of Mumbai, modest if expanding trade links, the disputed territory of Kashmir and efforts to bring various militants to justice. The Pakistani president then visited a famous Muslim shrine for Sufi saint Moinuddin Chishti, offering a $1-million contribution. The meeting is part of an apparent effort to follow the diplomatic model in place between India and China, which fought a war in 1962 over their disputed border: Put aside the most nettlesome issues for the time being and focus on building investment and trade links that benefit both sides. This year, India and Pakistan approved a most-favored-nation agreement, lowering taxes that impede trade. Although India had offered this benefit to Pakistan in 1996, it wasn’t reciprocated until recently. Official two-way trade of about $2.6 billion is heavily weighted in India’s favor. Sunday’s one-day visit was heavy on symbolism if not on substance. 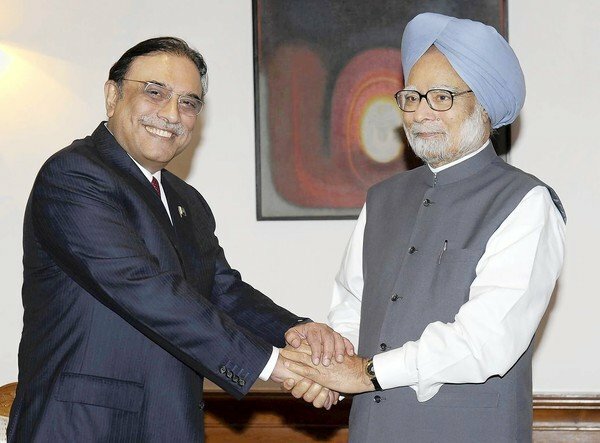 Zardari invited Singh for a reciprocal visit to Pakistan, which the Indian leader accepted, although no date was set. Zardari’s 23-year-old son, Bilawal, invited ruling Congress Party General Secretary Rahul Gandhi to Pakistan, which was also accepted, again with no date set. On other fronts, both sides agreed in principle to ease visa restrictions. India offered its assistance in the wake of this weekend’s massive avalanche in the Siachen Glacier area, which buried about 130 people on the Pakistani-controlled side of the border in disputed Kashmir. And both sides did lots of glad-handing for the cameras. But any bid to bring to justice those who planned the 2008 Mumbai attack that killed at least 166 people was sidestepped. India has long blamed Pakistani-based groups for plotting the attack. Last week, Washington offered a $10-million reward for information leading to the capture of one Pakistani militant leader, Hafiz Muhammad Saeed, who enjoys widespread support in Pakistan. Analysts on both sides of the divide welcomed the gradual thaw even as they acknowledged its slow pace. That no date was set for a return visit, and that Congress Party head Sonia Gandhi — characterized by some as India’s real leader behind the scenes — didn’t meet Zardari or attend the lunch, suggests the Indian government is wary of getting too far ahead of public opinion, some observers said. The fact that Zardari, 56, made the trip at all suggests that Pakistan’s military realizes improved relations are in its interest, added Talat Masood, an analyst and retired Pakistani general. The recent exchange of polarised articles, following the Sialkot tragedy, have left me perplexed. Both sides have exhibited tremendous scorn for each other and questioned the authenticity of the ‘other’s’ commitment to Pakistan. The existential conflict which these articles exhibited remind me of a painting by the famous French artist Paul Gauguin which hangs in the Museum of Fine Arts in Boston titled: D’où Venons Nous? Que Sommes Nous? Où Allons Nous? Which translates as Where Do We Come From? What Are We? Where Are We Going? Gauguin painted this huge canvas in 1897 while living as a French expatriate in Tahiti. He questioned his own identity in this colonial. 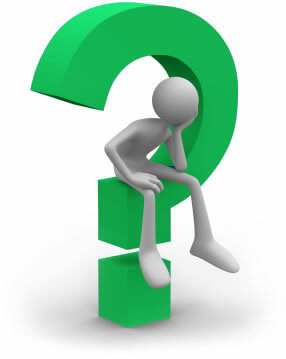 The crises that are befalling Pakistan are also leading the country to ask such similar questions. So what exactly does it mean to be a Pakistani? First, let us be clear that nationalism is an inherently synthetic phenomenon and there is nothing ‘natural’ about any form of nationalism. Those who suggest that somehow a larger Indian subcontinent was “natural nationalism” following colonial departure forget the motley assemblage of bitterly divided princely states that existed during much of the subcontinent’s history. Human rights laws and international norms are increasingly critical of nationalism along ethnic lines. At a practical level, the most defining “natural” element of nationalism is language — because communication is the most essential element of human relations. We can look different and overcome our prejudices if we can communicate effectively. Language is clearly a fracturing factor in Pakistani perceptions of their identity. Most of the readers of Pakistan’s English newspapers rarely read an Urdu daily. Gone are the days when poets like Faiz could be professors of English but write poetry in Urdu, allowing for an exchange of ideas across social strata that had been defined by language. A few veteran journalists such as Khaled Ahmed have to translate Urdu articles for the ‘Angraizi-walas’ who stumble through an occasional headline in the vernacular press. We are further divided by supremacist views about provincial languages. The only way out is for more Pakistanis to become multilingual at levels of proficiency that allow us to interact with the popular culture of communities across the nation. Another fracture that is apparent regarding Pakistani identity is connection to the physical land and residence within the country. Often resident Pakistanis dismiss those of us who live abroad as being unauthentic “sell-outs” and somehow lesser citizens. Yet in a world of structural inequality, diaspora communities are a seminal way of development. Consider the citizens of Lebanon — 70 per cent of whom reside outside their country but share a passion for their homeland. No doubt empathy and connection are important and getting a good dose of load shedding and local angst is often needed for an expatriate’s reality check. However, we should not question each other’s commitment and sincerity in this regard. Perhaps the most potent fracture in Pakistan’s identity crisis remains religion. Pakistan, Israel, and East Timor are the only three countries to have been formed in modern times on the primary basis of religious nationalism. This is where we need to exert the most effort in peace-building. Such action does not mean we disparage religion, but rather that embrace a more pluralistic understanding of our dominant faith. Going back to Gauguin’s painting, we should move beyond his first two questions and spend more time in considering his third question: Where are we going? Let’s quell the cynicism, sarcasm and innuendo and work on clear solutions for the problems that will define the future of Pakistan. The two suicide bombers chose midnight on July 1, when the throng of worshipers in the ancient Data Darbar shrine in Lahore, Pakistan, was at its peak, to blow themselves up. Forty-five people were killed and 175 were injured. The attack on the 1,000-year-old center of Sufi Islam—the religion’s mystical, unorthodox face—was the first Taliban attack of its kind in Punjab province, the heartland of the country’s moderate, majority Barelvi sect. The day after the attack on the shrine, Lahore’s students, politicians, traders and housewives took to the streets in loud, visceral protest. Major commercial centers were shut down, and in a rare show of sympathy, students from religious seminaries blocked roads and burned a few tires. Pakistanis are now asking themselves: Is this America’s war or is it ours too? How can we fight it? Why did our military nurture these warriors for three decades and why has it turned against them now? How and when are we going to be at peace with our neighbors, especially India with which the military is obsessed and for whom these non-state actors were originally spawned? To understand why this attack is so shocking, one must first look at Pakistan’s religious history. The majority of Pakistanis are Barelvis, who respect the inclusive traditions of the Sufis who brought Islam to the Indian Subcontinent. This is completely unlike the harsh version of Islam imported from Wahabi Saudi Arabia after the petro-dollar boom in the Middle East in the 1970s. So the bombing of the Sufi shrine has symbolic resonance: Sufism has always thrived as a reaction to the politics of the state. In modern Turkey Sufism grew as a response to Ataturk’s secularism; in the Soviet Union, it grew as resistance to the state’s official policy of promoting atheism; in Algeria, it was a reaction to French colonialism. In Pakistan, Sufism has thrived as an alternative to the state-sponsored Wahabi Islam of the Deobandi jihadi sect. If there’s one thing that Pakistanis are proud of, it’s their Sufi heritage. The shrine attacked in Lahore housed the tomb of one of the most famous Sufis to have ever lived, Ali Hajwiri, affectionately known by Lahoris as Data—one who facilitates the fulfillment of aspirations. Hajwiri wrote a seminal text in Sufi thought, the Kashf-al-Mahjub or “Unveiling of the Hidden.” An early example of Sufi doctrine, the book’s importance has grown over the centuries. Although not a native of Lahore, Hajwiri decided to settle in the city for the last 34 years of his life at the end of the 11th century. Even then, Lahore’s fame as a center of culture was widespread. It was known for its old fortified city, a nourishing river, and a collection of free-spirited artists, artisans, and musicians. During his 34 years of residence, Hajwiri became a revered dervish, offering an inclusive mystical path to Lahore’s non-Muslim population, many of whom were subject to a punishing caste hierarchy. Hajwiri’s shrine remained protected through centuries of rising and falling empires in the Punjab. Even the Sikh marauder Maharaja Ranjit Singh left the shrine untouched as he plundered many of Lahore’s riches. In attacking Hajwiri’s shrine, the Taliban have grossly miscalculated. They had hoped to provoke anger at the Pakistani government for fighting America’s war. Instead they have managed to convince more and more Pakistanis that this is now their war, not just America’s.